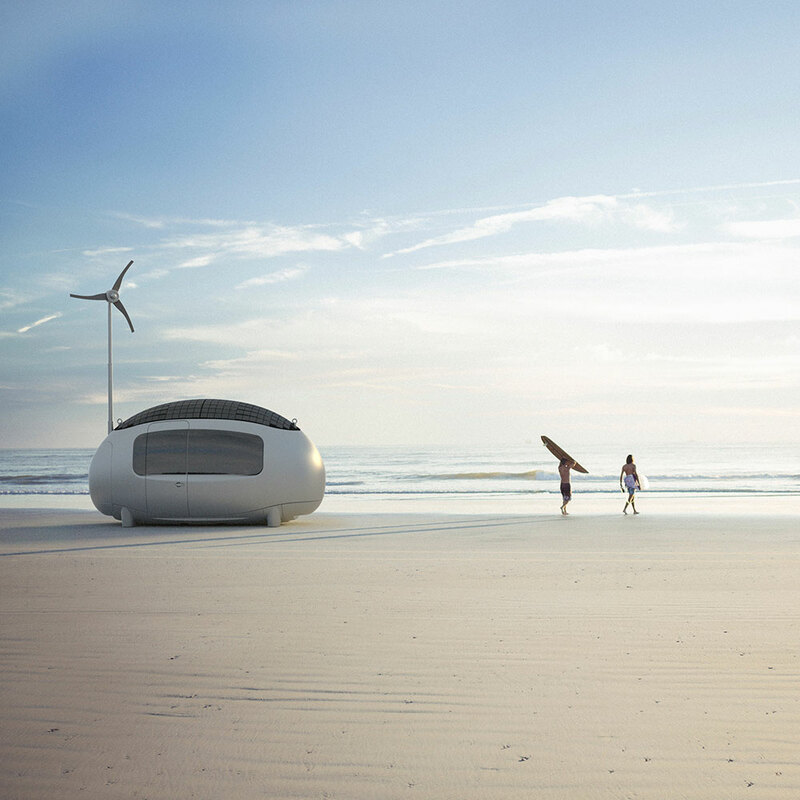 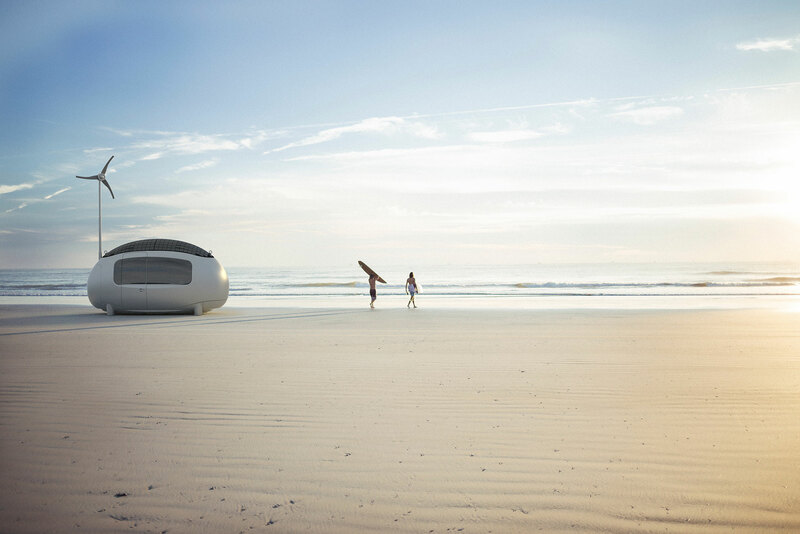 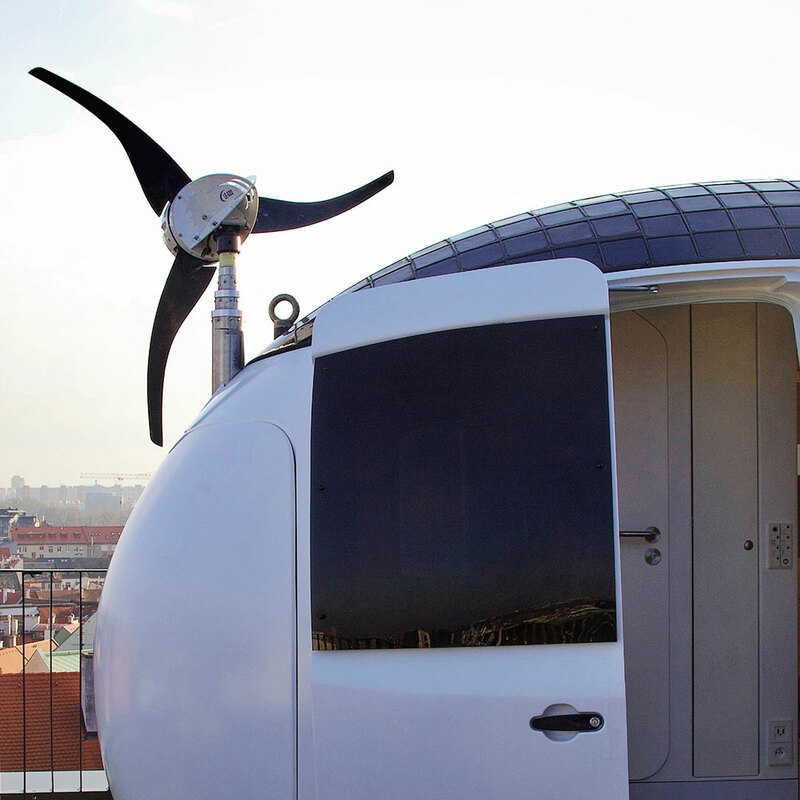 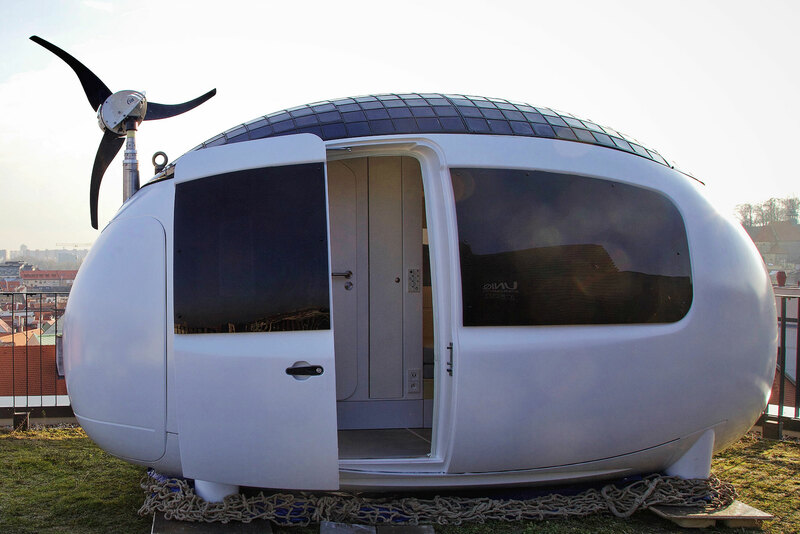 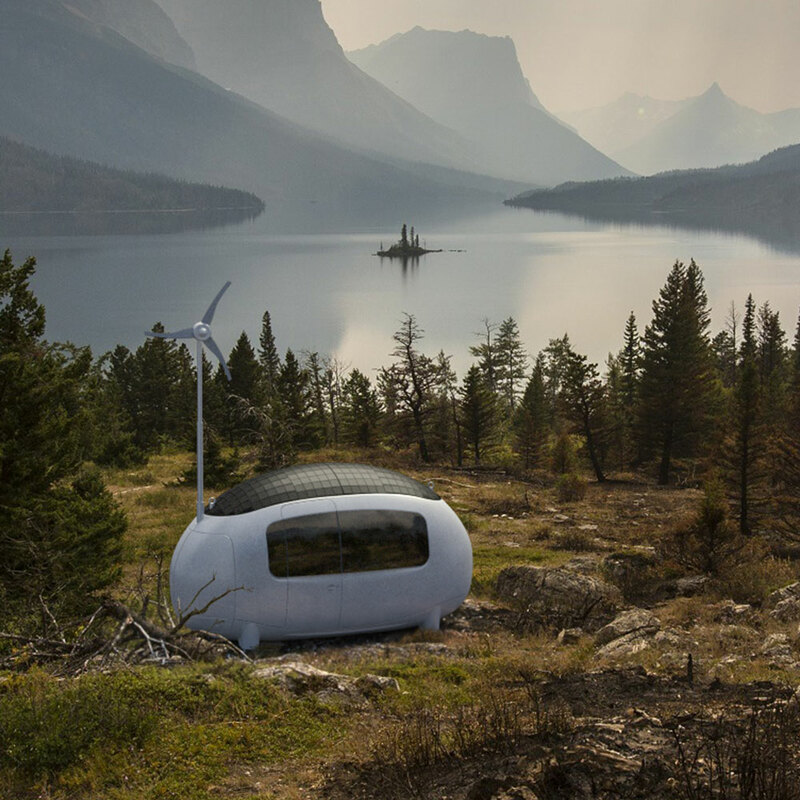 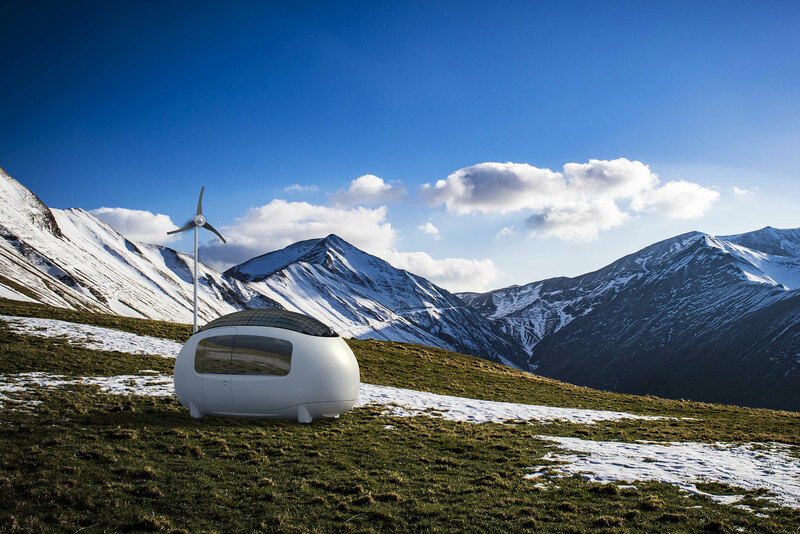 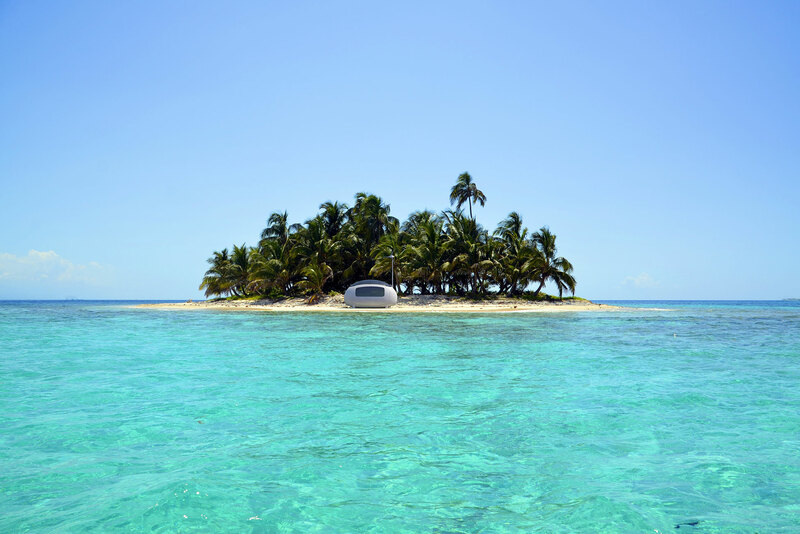 The Ecocapsule is specially designed for off-grid mid-term living and camping. 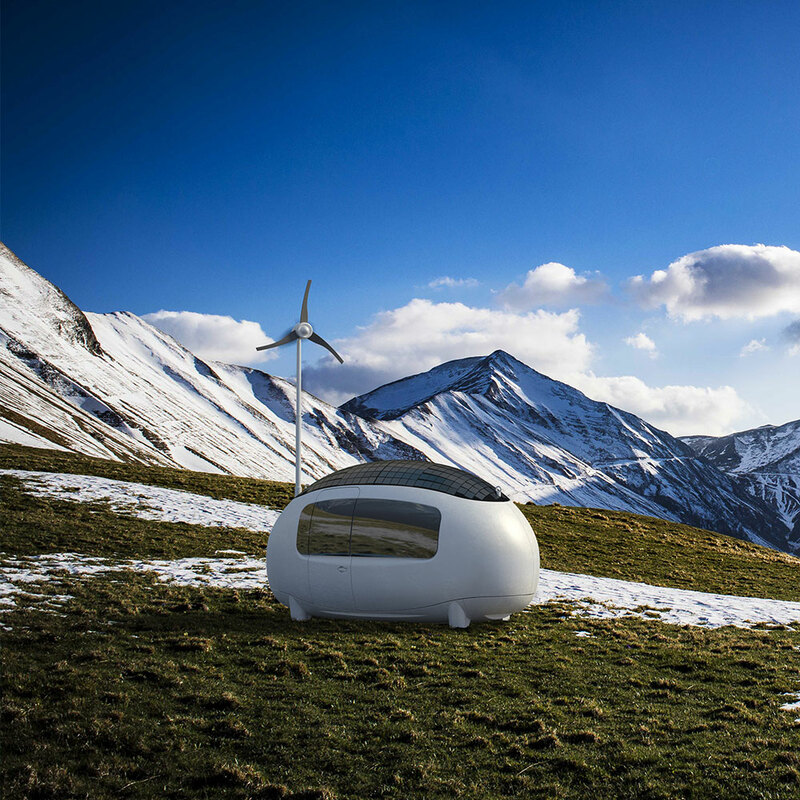 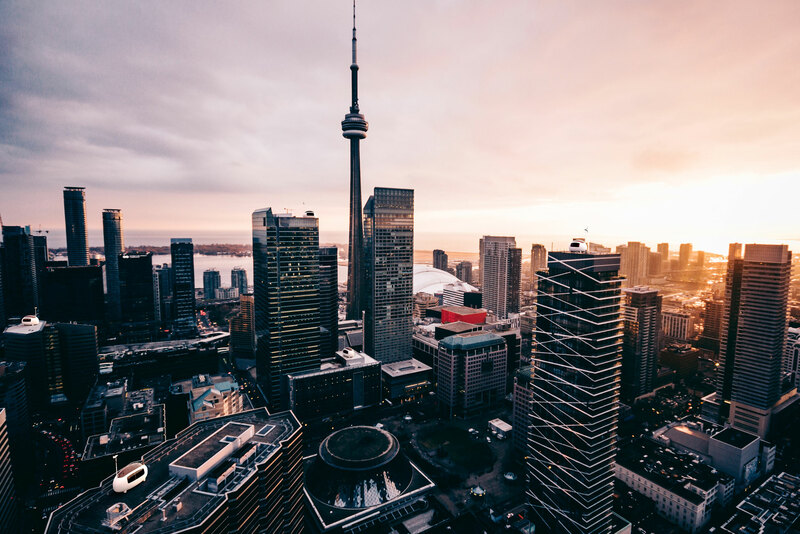 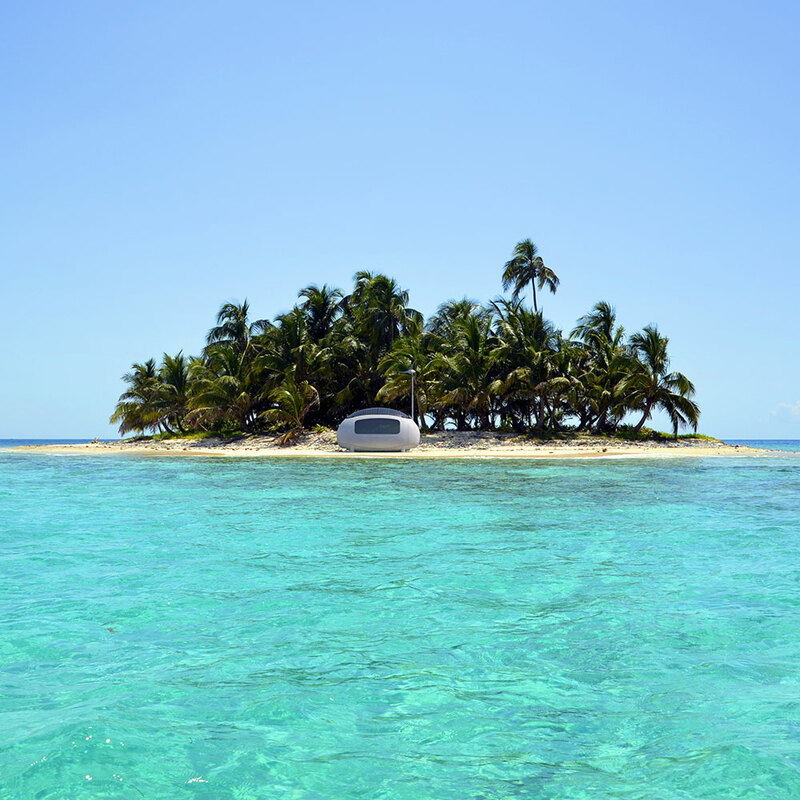 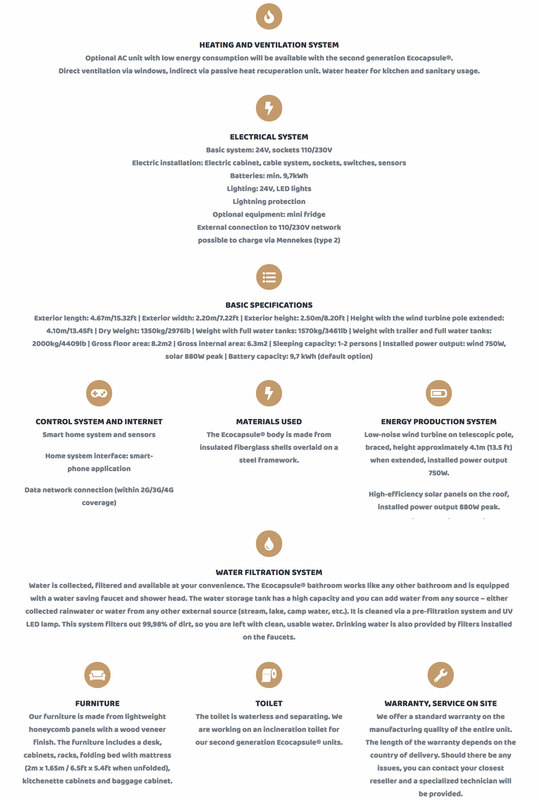 It contains a dual system of energy production that includes wind and solar technologies. 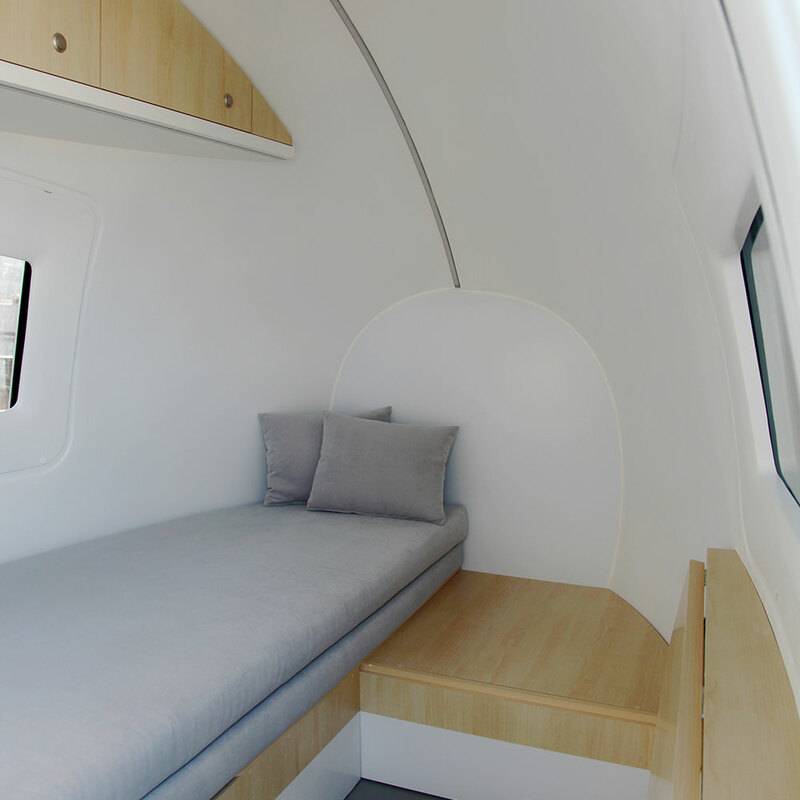 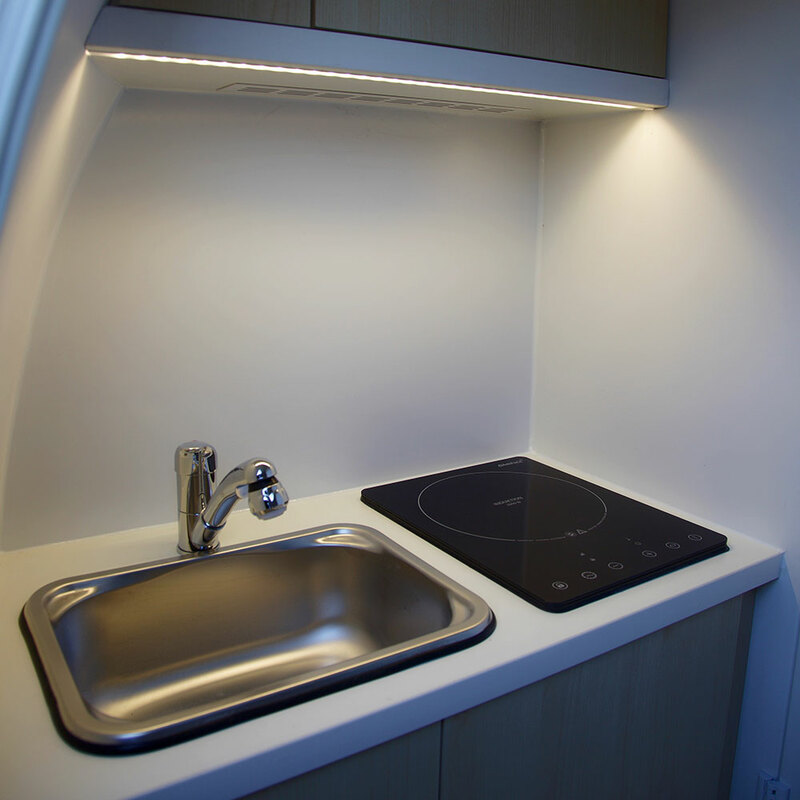 These micro homes also collect and filter rainwater for safe consumption. 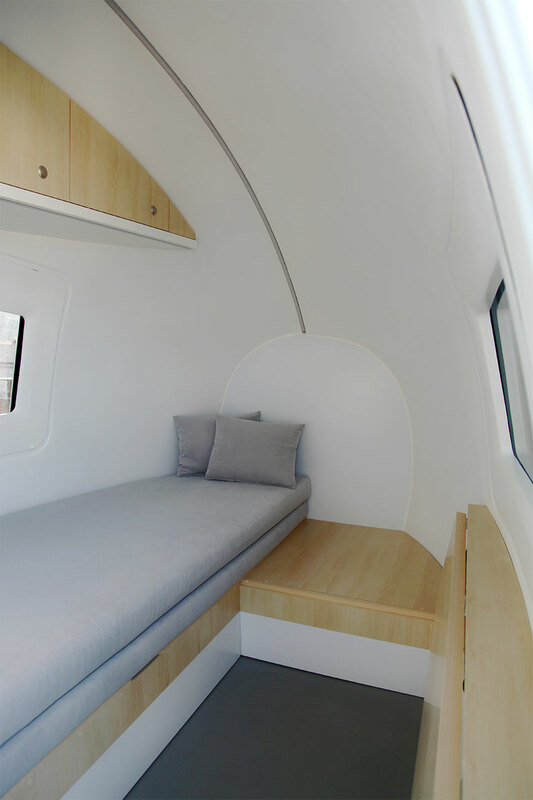 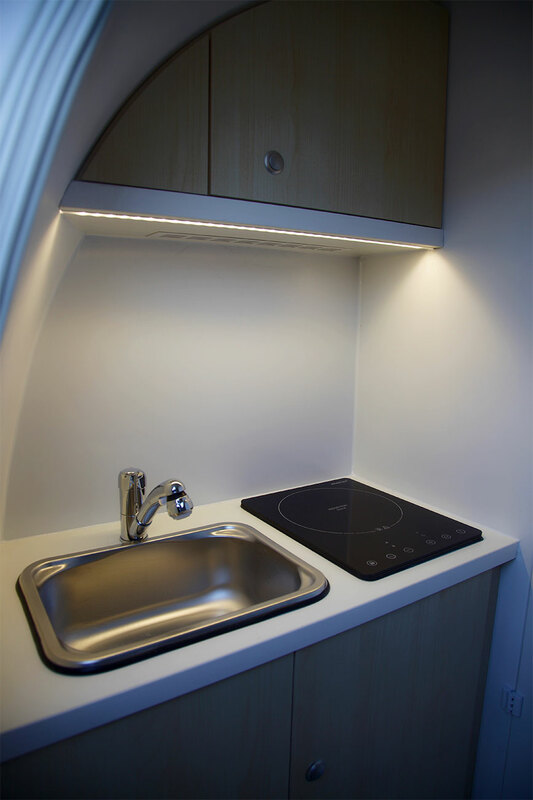 The outer shell of the micro-home maximizes the amount of water that can be collected, while simultaneously providing highly efficient thermal insulation from outside elements. 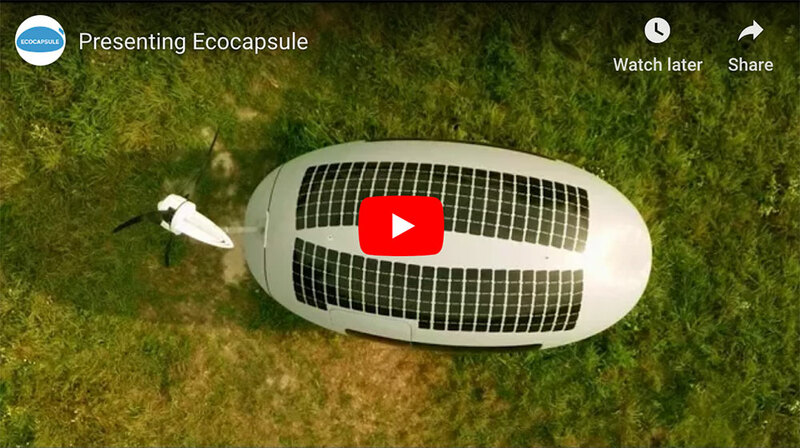 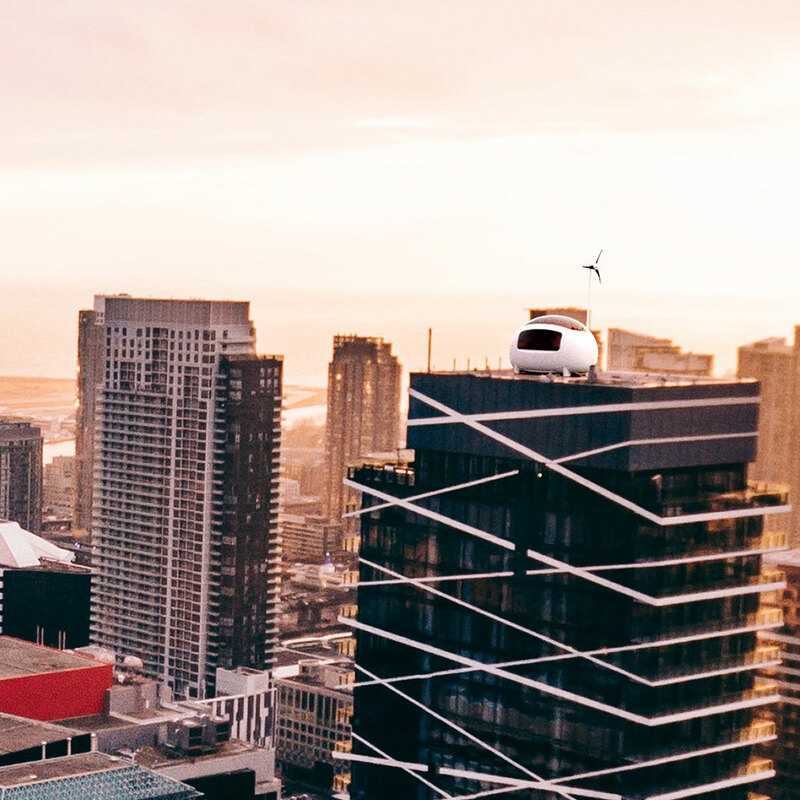 If you are looking for an off-grid camper or a tiny home or micro home, see how the Ecocapsule might save you money by being self-contained.